Blogging has completely stirred up the situation on the internet. It has been something that people were getting used to during the 1990s, but as of 2000s, the online world completely changed due to the influence of blogging. As more and more blogs started to emerge, so did the number of blogging tools. The approaches also began to evolve. We can trace the origin of blogging back to the online diaries published on the internet during the 1990s via dial-up internet. Over time, the topics of blogs started to expand. Personal blogs as a form of online diaries still exist, but many different types of blogs are now part of the blogosphere. The number of blogs on the internet has been growing rapidly, as increasingly more people were gaining access to the internet and being able to create and manage their own blogs. Once creating a blog was an endeavor for which you would need to hire a professional, and you would also need training on how to manage and upload content. Nowadays, you can seamlessly create a blog within a few minutes without any technical skill whatsoever. From the introduction of internet and the appearance of blogging to this day, a lot has changed. Nowadays, blogging has become commonplace. It has become mainstream from the 2000s. Now people read blog posts every day. In fact, a large percentage of people own a blog (even if they do not have a habit of blogging regularly). On the one side, we have the online community which has been relying so much on blogging as a source of information, entertainment, ideas, etc. People start following blogs they love and use them to keep up with the topic of their interest. They also interact with blog owners through comments. Then, on the other side, we have companies. Most companies have one goal in common – reach online users. Due to the massive popularity of blogging and due to one particular search engine update by Google, called Panda (you can read more information on “Panda” later in this book), they have started to realize that blogging has to be taken to an entirely new level. Benefits of blogging are evident, but the craft (or better yet, art) of blogging is what evolved so much over the past years, that companies are focusing a lot of their efforts creating and managing content marketing strategy through blogging. To understand how we have gotten to this point, where blogging is an inseparable part of our lives, you need to learn about content and Google’s Panda update. These two have influenced blogging to become what we know today. Content has been around from the beginning of the internet. It has been used to position a website for keywords that are relevant to that site. Numerous techniques have been used for this purpose. One of which included notorious, obsolete practice of keyword stuffing. The gap between a website and a blog was much broader. Brands and companies had their websites, while bloggers managed their blogs. Firstly, companies have started to realize that they are unable to compete with blogging content, as they had too little content, making them less likely to appear in the search engine result pages. This is how blogging has become a part of the business world. Once reserved for journalists, writers and critics, blogging has moved into the business world at full speed. The result of this is still visible to this day. Almost any business wishing to succeed and build a respectable name, will try to do so through blogging. The second thing that resulted from the rapid expansion of the internet is the fact that content has been starting to pile up. Search engines have been struggling to filter the results, as webmasters were using devious techniques and practices to boost their website to the top of the search results. In many cases search results have become very saturated with keyword stuffed content. The bad thing was that most of that content was actually junk. It was content written with the intention to trick search engines to believe that there is something relevant on that web page, when in reality there was not. It was only a scheme used to reach online users. It was at this point (back in 2011) that Google rolled out its Panda Update. This was a search engine update that was designed to detect low-quality content pages and banish them from the search engine results pages (SERP). The goal was also to identify high-quality pages and award them with a good ranking. Being able to recognize the quality of the content allows Google to provide better user experience because this way search engine can show really relevant results that can, in fact, provide a meaningful response to a user query. This update has been evolving through the years, but what it ultimately changed is how we perceive website content and blogging in general. 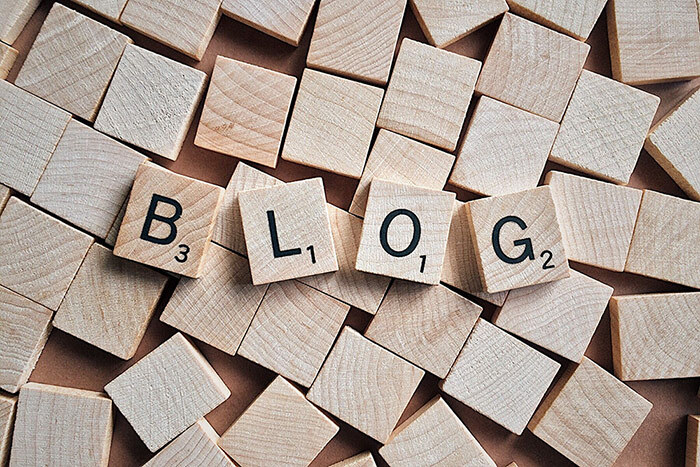 While blogging has become an effective tool for reaching online users, with this update in mind, bloggers are now aware that only quality content can achieve this goal. Tactics such as “keyword stuffing” no longer work. In today’s world the emphasis is on quality content. Knowing about the current situation on the market is very useful. Below please find some interesting results made by different studies. These studies illustrate the state of blogging and online marketing. It helps you understand the importance of blogging as a business tactic and how it can be integrated into an online business. The number of blog posts published each day is enormous. Quality has become a necessity to get noticed and reach your audience through blog content. Blogging is more popular among B2B companies that among B2C businesses. Blogging regularly can significantly help you improve your business objectives. As you continue with reading this ebook, you will see even more benefits of blogging. You will see how this online marketing strategy is slowly becoming the number one method to reach and affect online users.